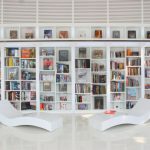 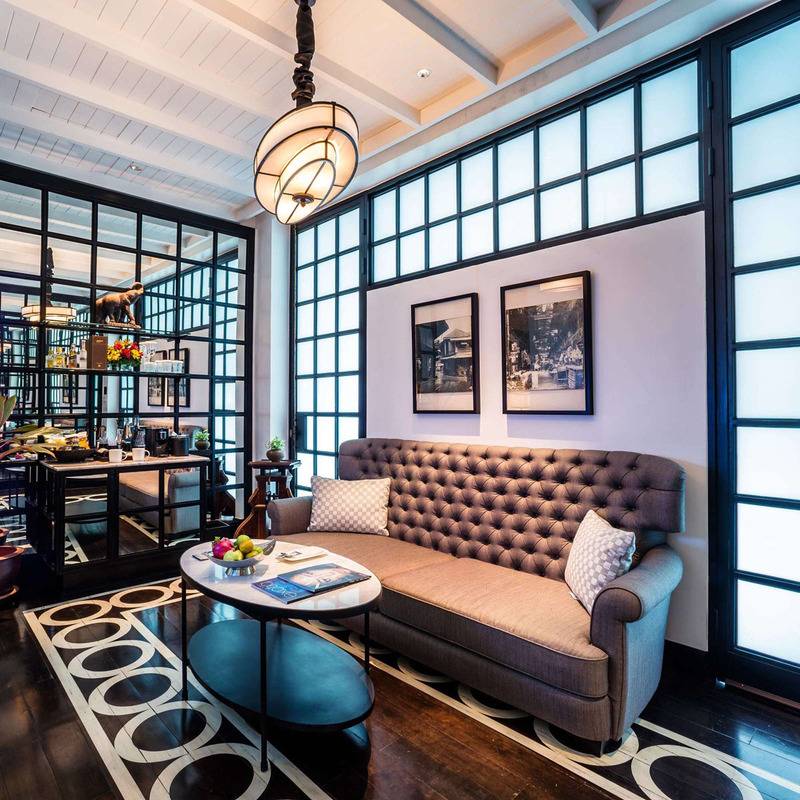 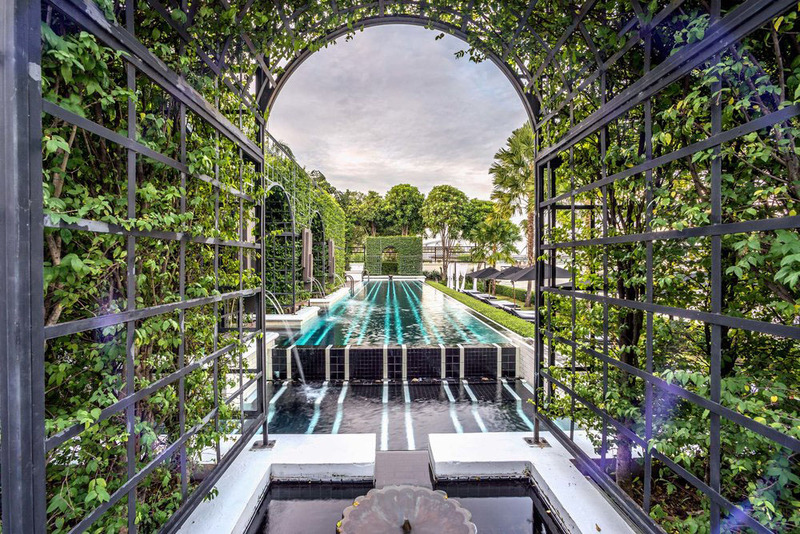 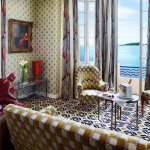 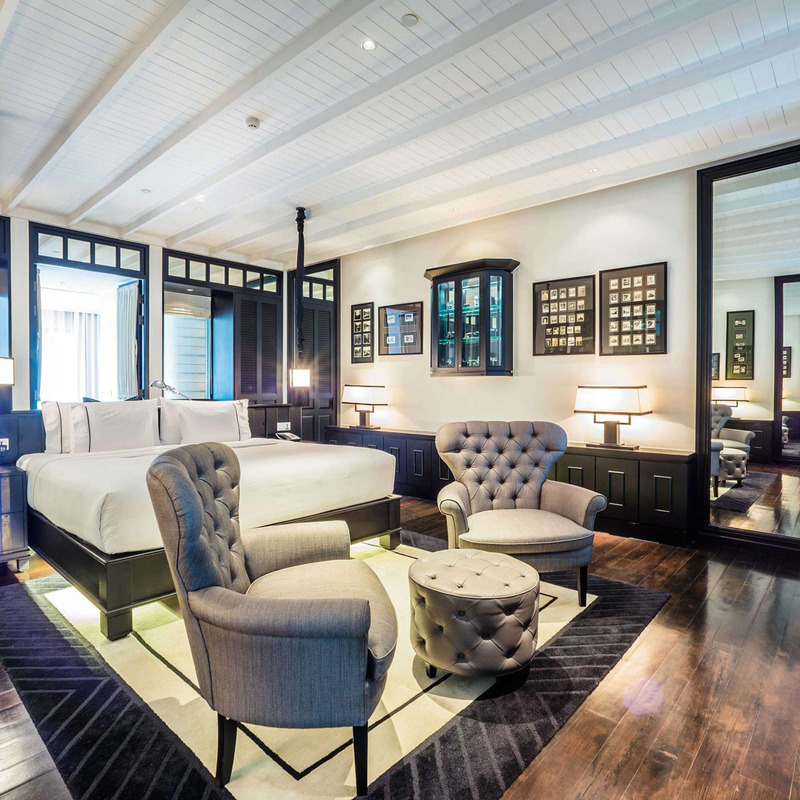 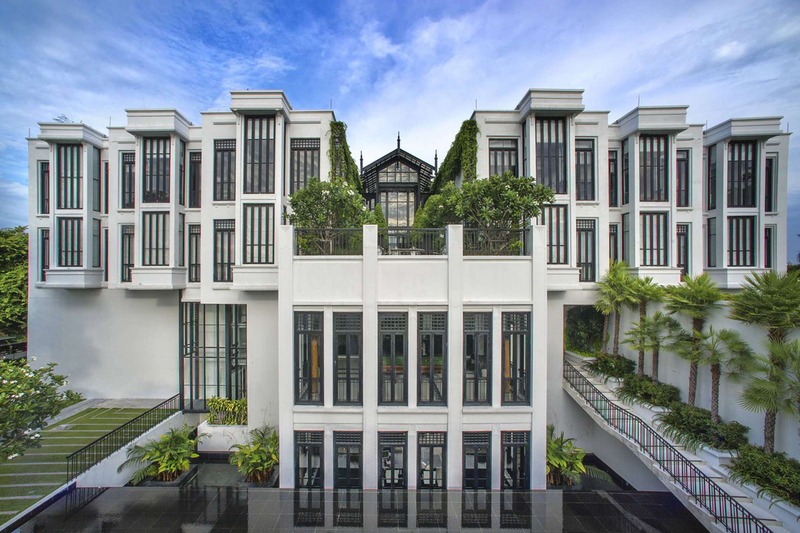 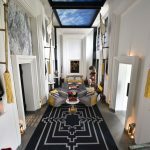 The design of this stunning luxury hotel set amidst 3 acres of lush gardens on the Chao Phraya River was inspired by Musée d’Orsay in Paris. 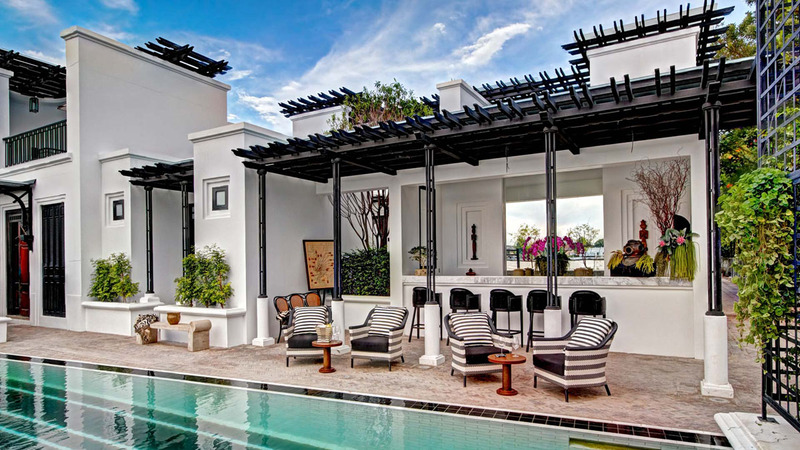 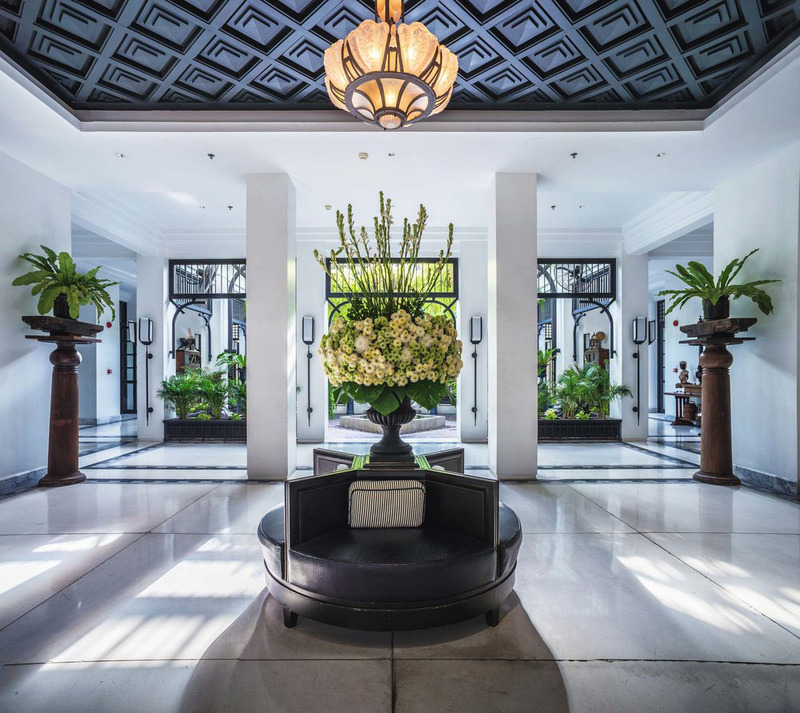 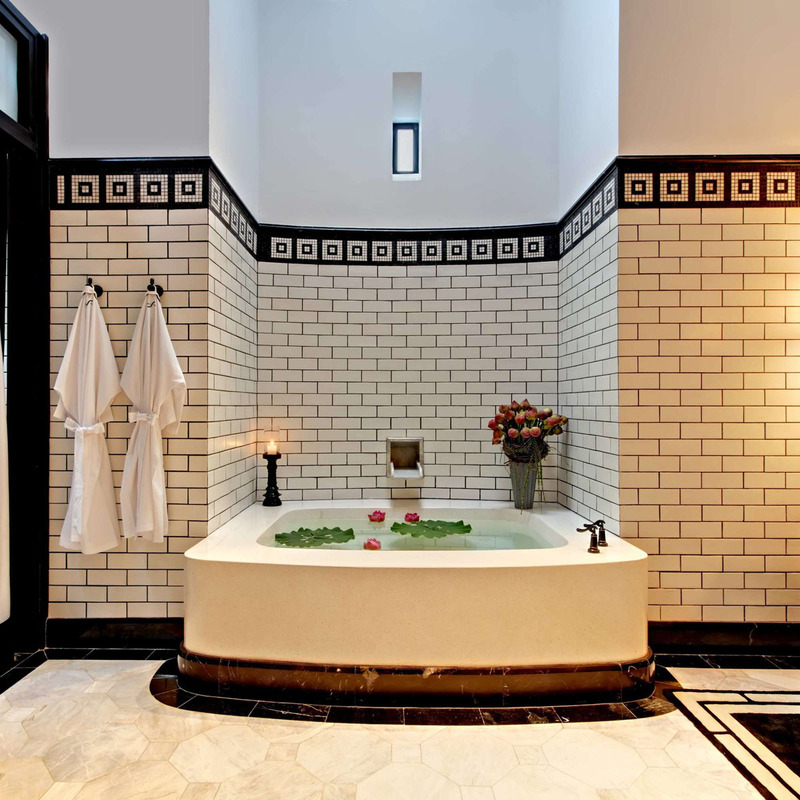 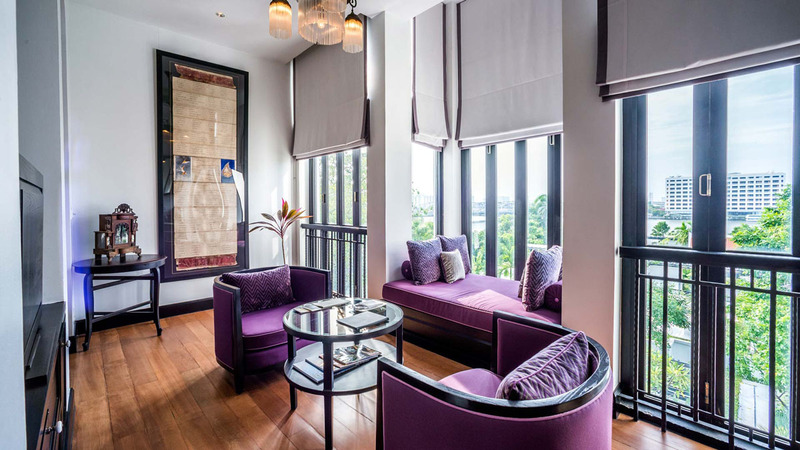 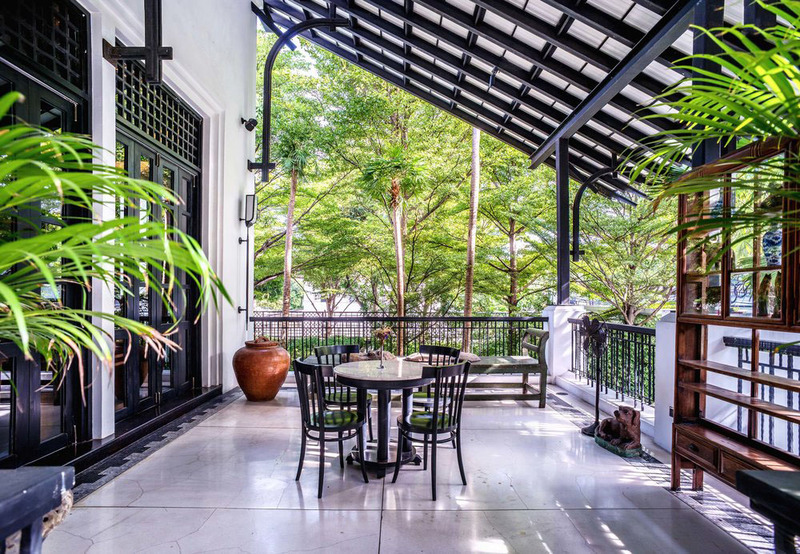 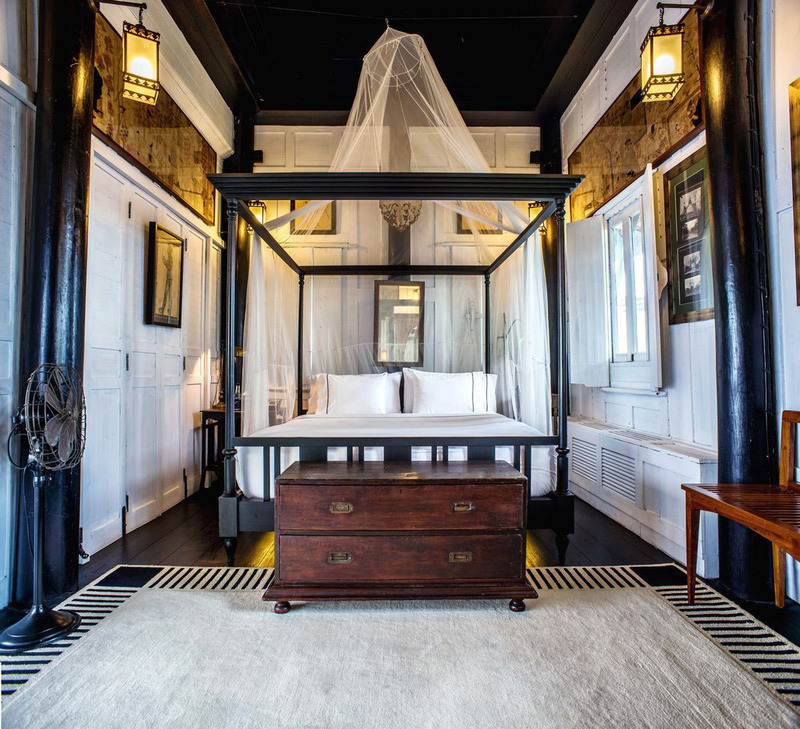 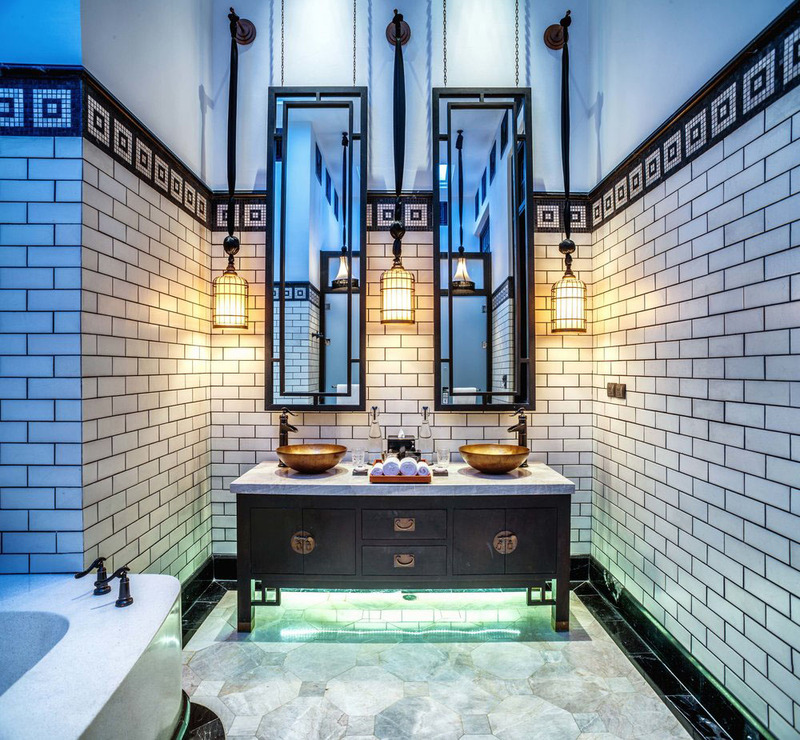 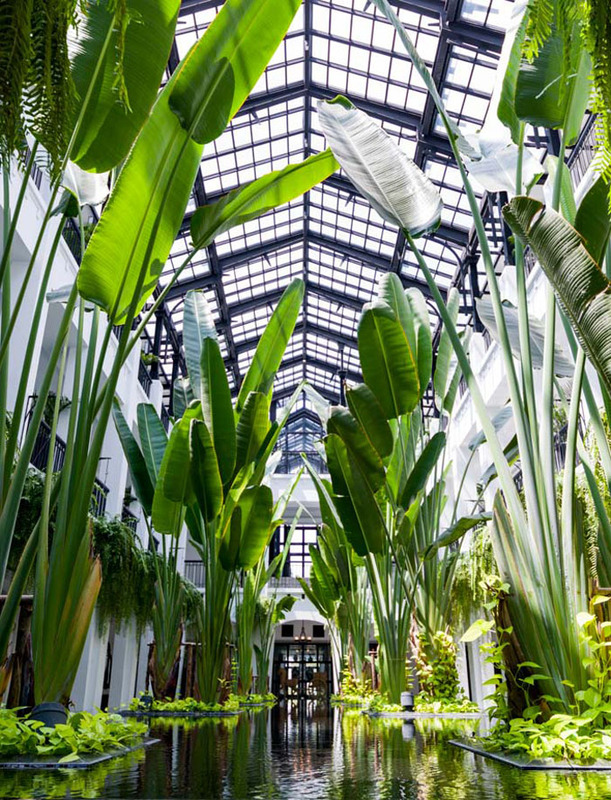 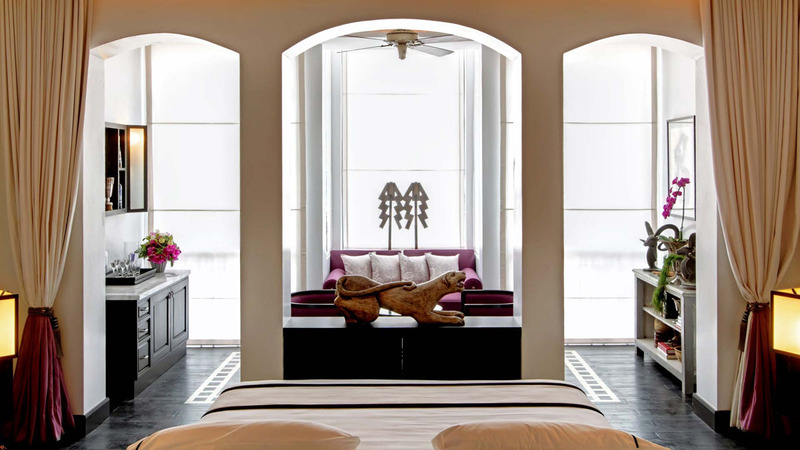 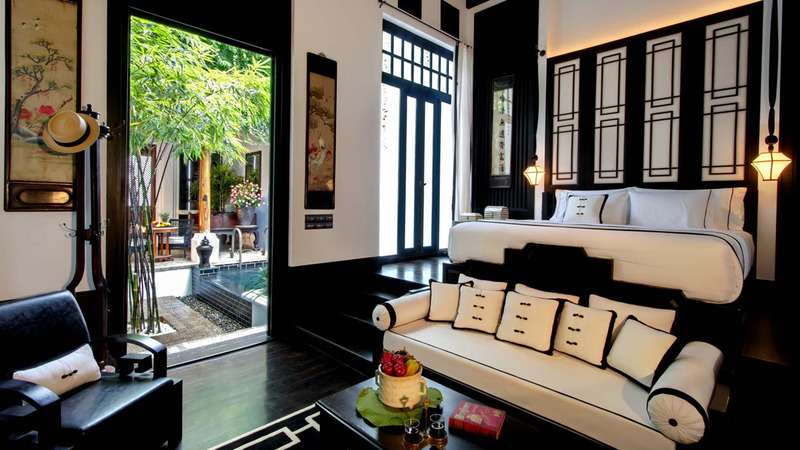 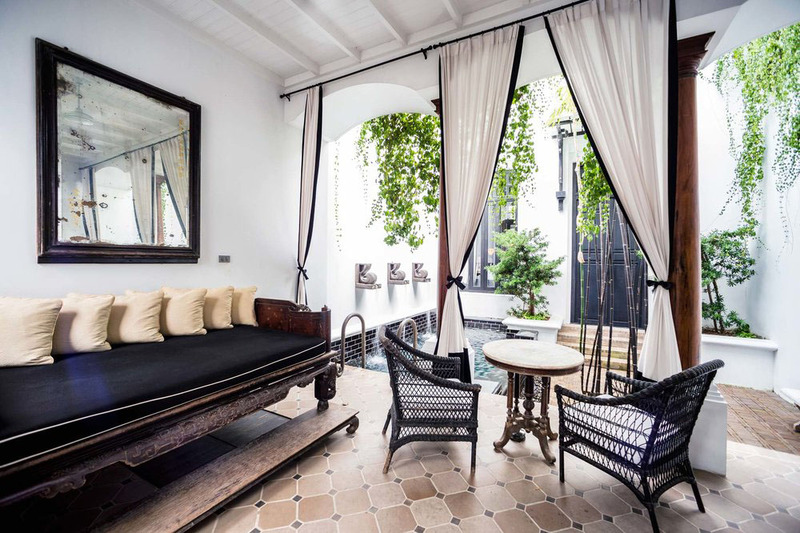 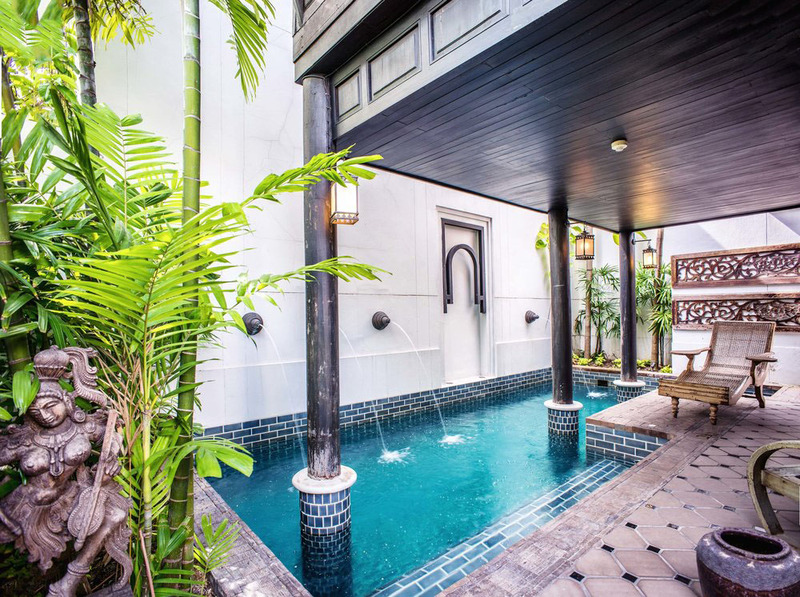 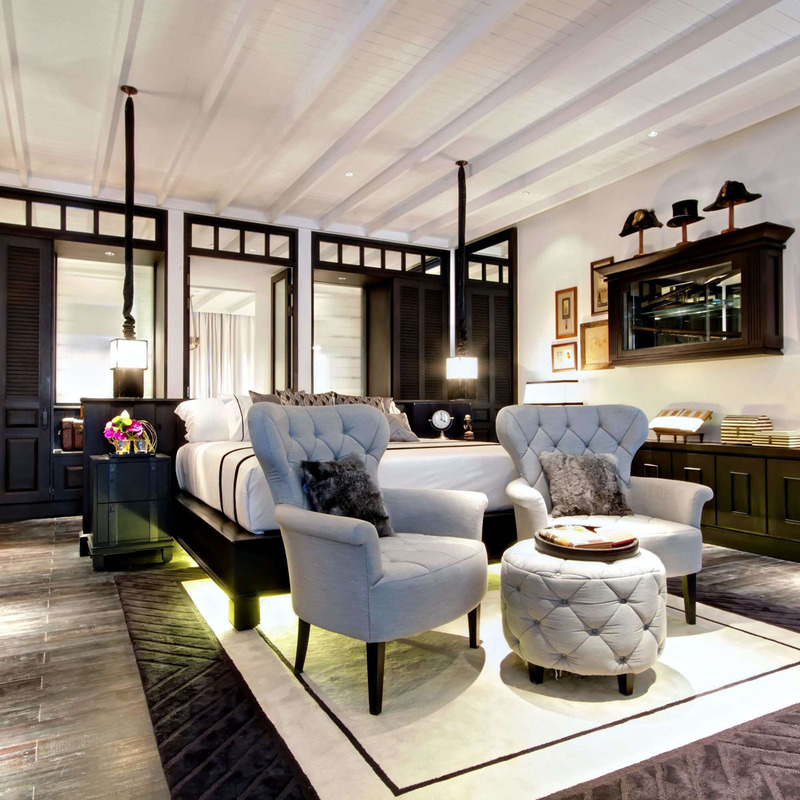 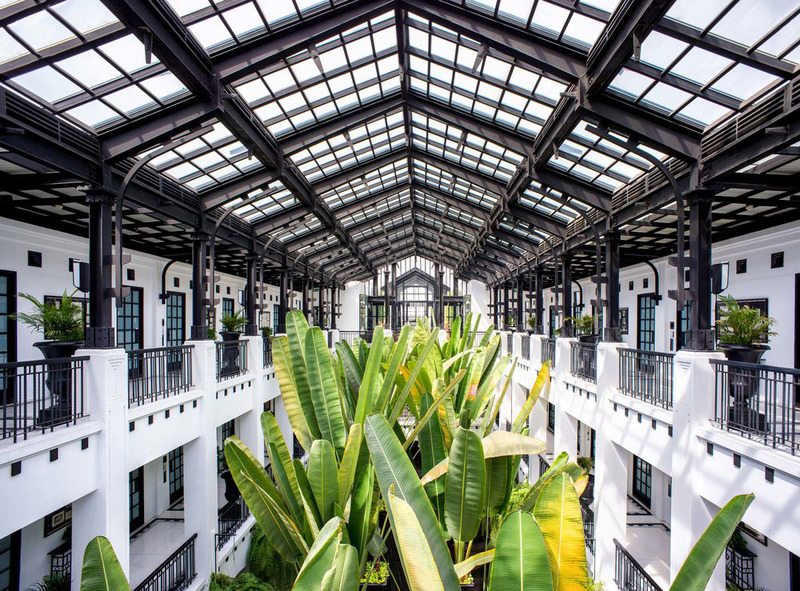 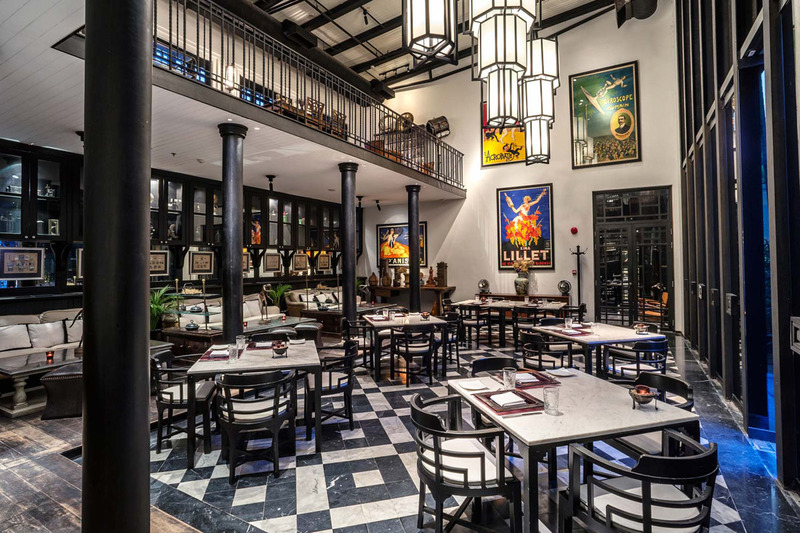 Conceived by creative director Krissada Sukosol Clapp in collaboration with architect Khemvadee Paopanlerd and interior/landscape designer Bill Bensley, the ambiance and architectural style reflect the period of Bangkok’s greatest grandeur, under King Rama V (circa 1853-1910), with Art Deco accents. 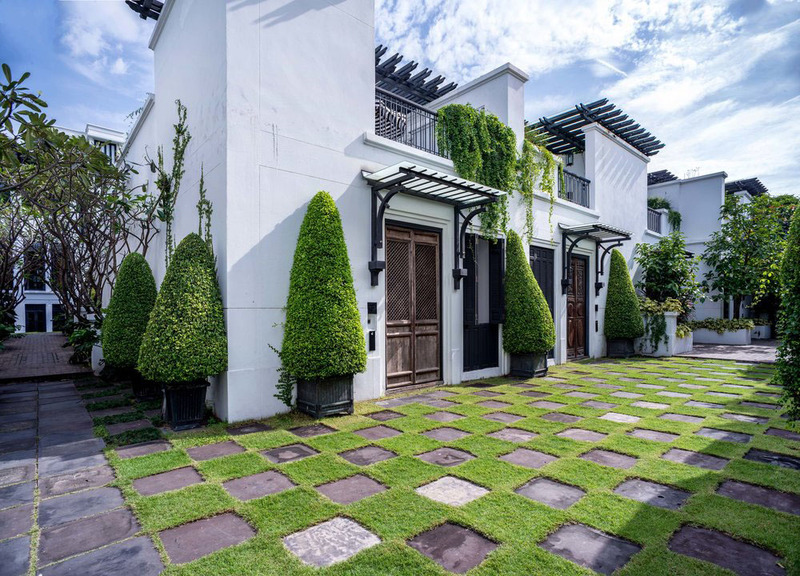 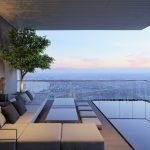 Muted colour scheme of black, white, cream, grey and neutrals is combined with natural textures such as wood, weave, leather and stone to provide a serene setting in a lush garden setting.